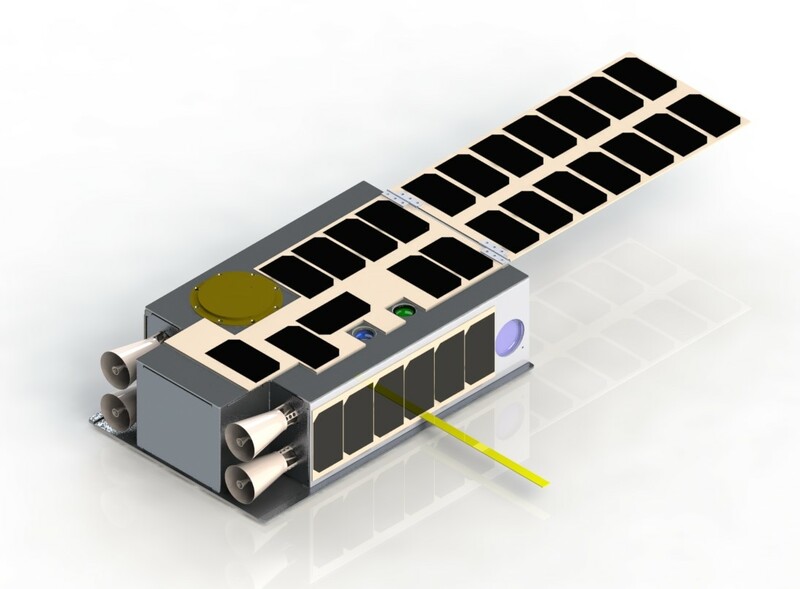 KitCube is a 6U Cube satellite (CubeSat) entry into the NASA CubeQuest Challenge. Our mission is to achieve lunar orbit and engage our laser communications system after Kitcube’s deployment from NASA's SLS rocket. Overall, we are striving to successfully go to the moon, use a laser beam to transmit data, and incorporate this design into a package that can essentially fit in a backpack! Never before have these goals been accomplished together in a single mission; we hope that you will support us in achieving our aspirations and help us win a seat on NASA’s first Exploration Mission (EM-1) to launch our design into space! Any donation is greatly appreciated, and every dollar goes directly towards buying hardware, conducting necessary research & tests, developing our cutting edge lasercom system and pointing and propulsion systems. KitCube has the potential to achieve groundbreaking technology performance milestones in miniature communications, pointing, and propulsion systems, but we can only do it with your valuable support! An additional bonus is that gifts are inclusive, so if you donate $500, for instance, you'll receive everything from the $10 - $250 tiers, too! We also appreciate any in-kind donations. Satellite hardware and engineering support are especially welcome, and we will assign your equivalent level of support to the appropriate sponsor level. Donating hardware provides the additional benefit of potentially increasing the Technology Readiness Level (TRL) and flight heritage of your components. 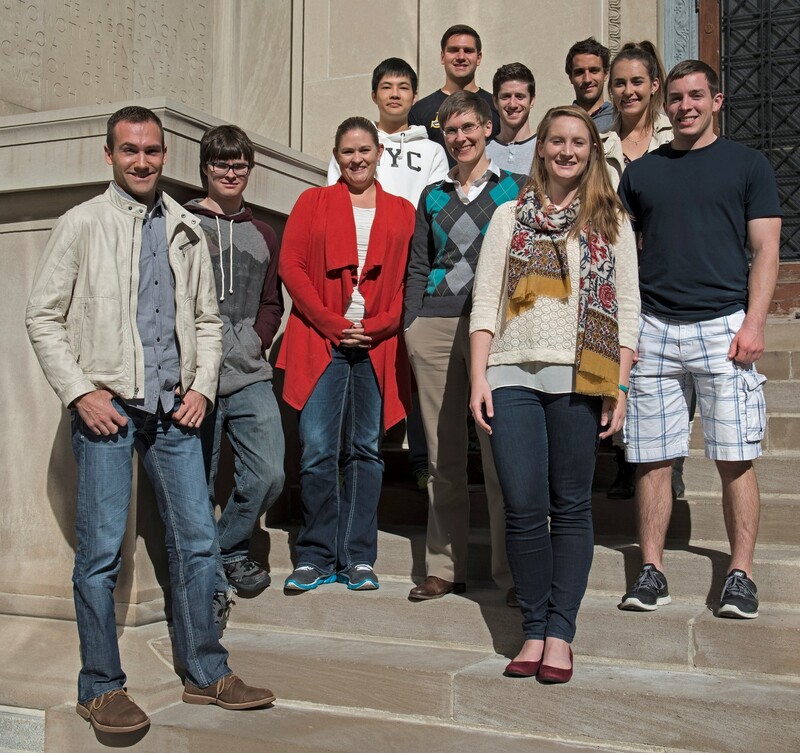 If you would like to provide in-kind donations, please contact us directly at fundkitcube@mit.edu! Additional bonuses of donating are tax deduction and contribution matching! Below we describe how your contribution can be deducted from taxes, or even matched by your company! 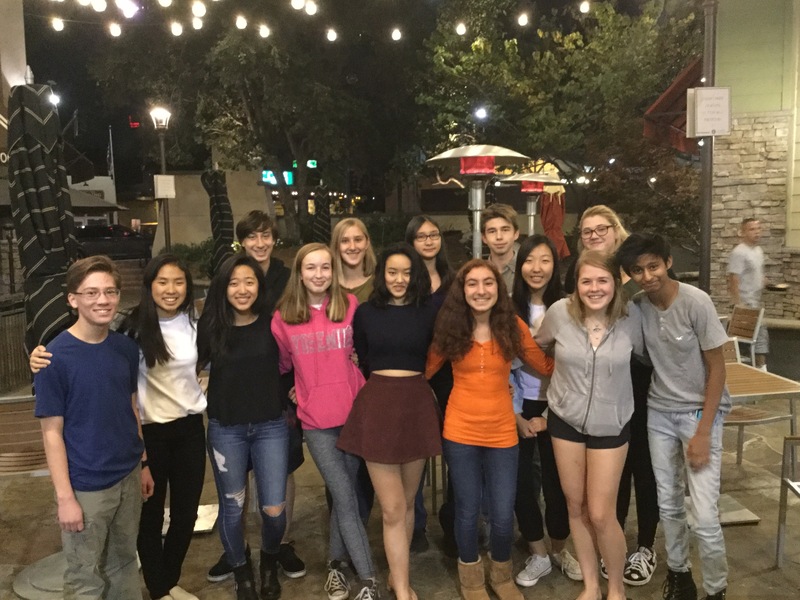 We are a dynamic team made up of hardworking and highly motivated MIT undergraduate & graduate students, MIT faculty members, La Cañada, CA high school students, and industry partners such as Clyde Space, Northrop Grumman, Science and Technology Corporation, Facebook, and Glenair. MIT KitCube won 2nd place in the first Ground Tournament (GT-1) in August 2015, and we are building momentum for Ground Tournament 2 this coming March 2016. The NASA CubeQuest Challenge is divided into 4 Ground Tournaments, with the top 3 teams in the final round winning a spot on NASA’s first Exploration Mission (EM-1) on its new Space Launch System (SLS). Once in orbit, the teams have one year to compete for In-Space Prizes in CubeQuest’s Lunar Derby and Deep Space Derby. KitCube will soon be competing in the Lunar Derby, aiming for the 'Best Burst Data Rate,' and 'Largest Aggregate Data Volume' prizes. The challenge is designed to foster new methods for propulsion and communication, and MIT has designed and is developing new technology to achieve both! We're reaching out to everyone interested in supporting our innovative and unique mission! The KitCube team excited to have the opportunity to actually work hands-on on a flight spacecraft that will go to the Moon, and looks forward to continuing to make CubeSat educational platforms and help make learning about technology accessible to everyone. We want space exploration to be something that anyone can engage with and understand! For more information about KitCube, our team, and the CubeQuest Competition please visit the websites below. 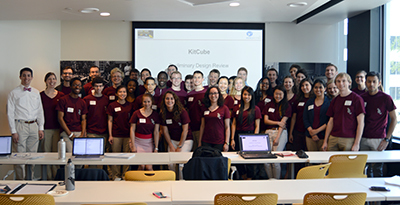 Please follow and share our page online to promote support of MIT KitCube! We need your help to raise awareness of our mission! 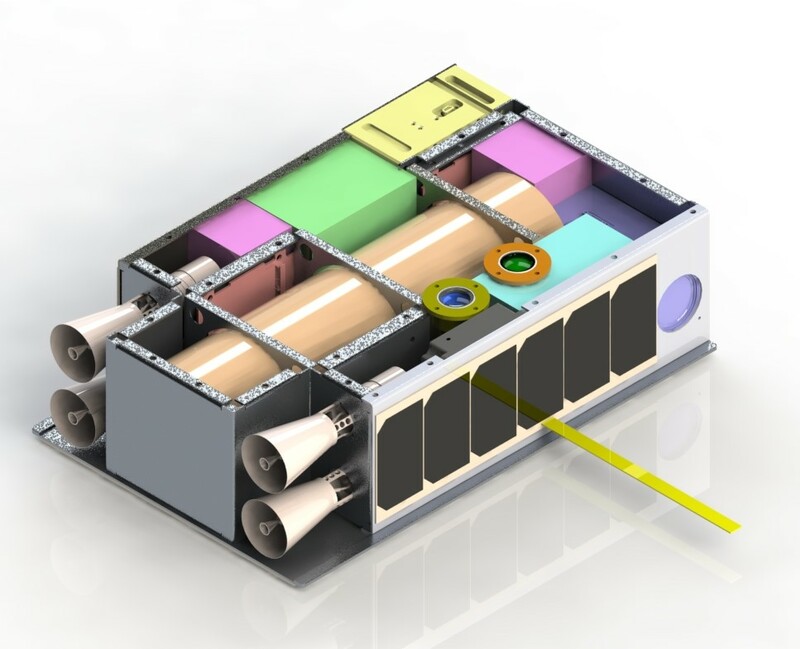 CubeSats are becoming important platforms for testing and demonstrating new technologies in space, and because they’re so small, they’re much cheaper to launch. While CubeSats are more challenging in their own right, especially due to their limited size and mass, the easy access to orbit and their increasing capability makes CubeSats attractive for commercial, defense, and scientific applications, and several “new space” startup companies are focused on fielding constellations of sensors onboard CubeSats for applications as from as disaster, weather, agriculture, water, and land use monitoring all the way to providing communications for third-world countries. Pointing… KitCube uses reaction wheels - three tiny spinning metal disks inside the spacecraft. To figure out where it is pointed, we use cameras to take pictures of stars and match star locations with a map that the CubeSat stores in memory. We also use sensors to detect where the Sun is (helping us keep our solar panels pointed in the right direction). Propulsion System… KitCube uses fuel called “Green Monopropellant” which was developed by the United States Air Force to be effective yet more stable and less risky to handle than other alternatives. Thermal System… We have to ensure that we can effectively dissipate heat that is generated on-board. It is important maintain a thermally stable nanosatellite, especially when using thrusters in space, where there is no "air flow" to help cool things down. Structure… The structure will be built to withstand over 400 N of force and will undergo static, transient, and vibration analysis to ensure safe performance. KitCube’s walls will also be thick enough to prevent most radiation – energetic particles from the Sun – from affecting the electronics inside over the mission. Communications System… KitCube uses radio communications for command & control and for health data. KitCube uses optical communications, or lasercom, for the NASA data rate competition. Since our trajectory takes us over 1.7 million kilometers away from Earth, communications are a challenging yet critical part of the system design. Power System… The solar panel that gives the look of a beavers tail, hence the name KitCube (a "kit" is the name for a baby beaver), will be able to generate enough power to run the thrusters and communication system in turn, as well as the other key subsystems. MIT is a 501(c)(3) institution, and your gift is tax-deductible within the limitations of U.S. federal income tax laws. Many companies also offer employees a matching gift benefit that doubles the contribution to MIT. Click here to find out if your employer has a matching gift program. Receive a mission-themed thank you note from a member of the KitCube team and three mission patch stickers that you can put on your laptop, tablet, door, or... well, we'll just let you decide! Receive a KitCube "Remove Before Flight" keychain and a cloth embroidered mission patch (which will have an iron-on backing). Add some Lunar style to your bag or jacket! Receive a KitCube t-shirt to proudly display your support of space exploration and innovation! Receive a miniature 3D printed model of the KitCube spacecraft, which can be used for holiday decor, as a keychain, or cool desk toy. Receive a pack of 5 t-shirts, complete with team logo and the title "Sponsor" on the front. Receive a 3D printed half-scale model of KitCube, complete with hinge-deployed solar panel. Listed as a Silver Level Sponsor on our webpages, team documents, and media. Plus your organization's name printed or engraved on one of our hardware structures or screened onto our custom electronics boards. Listed as a Gold Level Sponsor on our webpages, team documents, and media. Plus your organization's name printed or engraved on one of our hardware structures or screened onto our custom electronics boards and a second box of t-shirts. Featured brand representation on all media and on visible hardware. Receive monthly progress update newsletter, and opportunities for virtual or in-person tours. Plus, another box of t-shirts and another 3D printed half-scale model of KitCube. Featured brand representation on all media and on visible hardware. Receive monthly progress update newsletter, and opportunities for virtual or in-person tours. Plus, all of the t-shirts, stickers, patches, keychains, and a 3D printed half-scale model of KitCube listed above, for you to proudly display!